To be honest, before joining Twitter my husband and I had no idea that there was a horse crisis in UK and Ireland. And surely we would not have expected such a thing to happen in a country so well known for it's beautiful horses, politeness, education and manners. At that time we were considering taking in a third horse. Do not get me wrong, we have cases of neglect here, too, no doubt. The respect shown towards animals seems to decrease, horses are no longer seen as partners but as "sports equipment" and its easy to get a horse someone else does not want anymore. 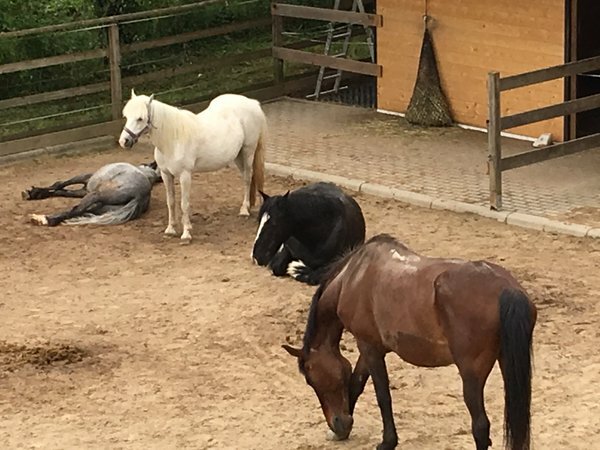 But we were so sad and angry about the photos of emaciated horses or even dead ones on the streets, we decided to make an end to the suffering for at least one horse by offering a home here in Germany. Now do not think we entered into this with rose tinted glasses. Having been horse people for a very long time we were fully aware of the fact that damage, done to a horse in this way, might affect his behaviour as well as his health for a lifetime. Anyway, it turned out that this would not be the only challenge we had to face. 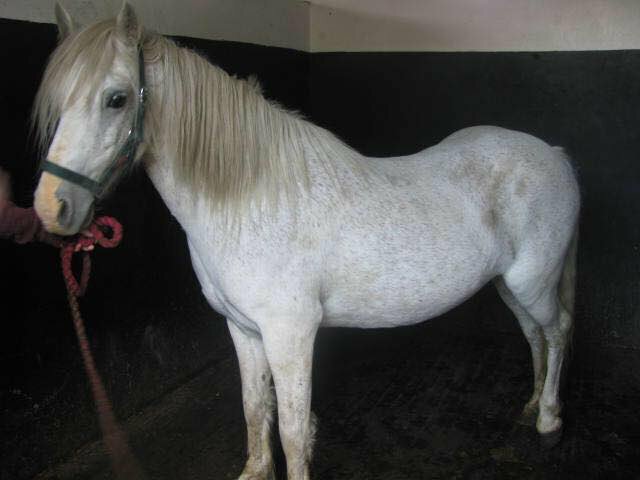 We contacted several Horse Rescues all over UK via their websites, asking about certain horses they "advertised" for rehoming. Believe it or not, we did not get a single answer! 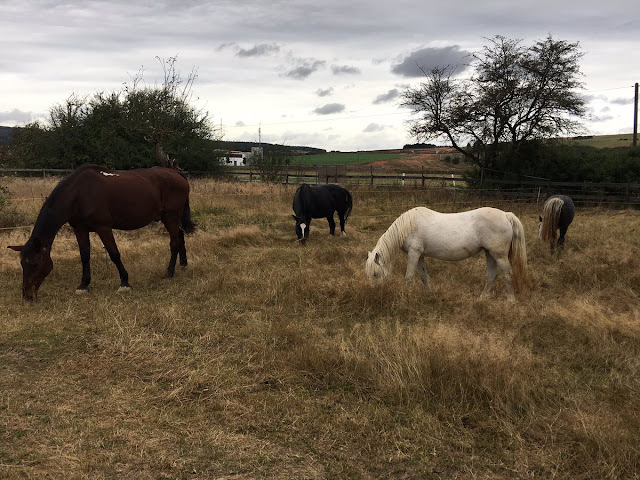 Then by chance we came across an Irish Rescue who built a network across Ireland/UK/Netherlands/Sweden in order to rehome horses and they even had a German website. 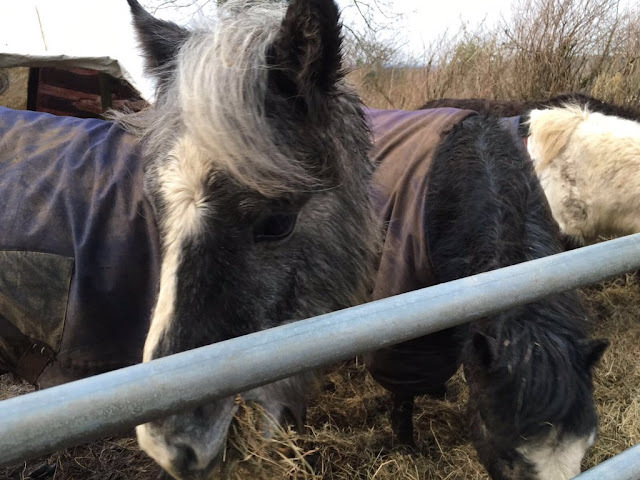 We found an elderly mare there and fell in love with her immediately. We did not want to get Caitlin here without having met her so hubby, who -unlike myself- likes flying, went over to meet her. 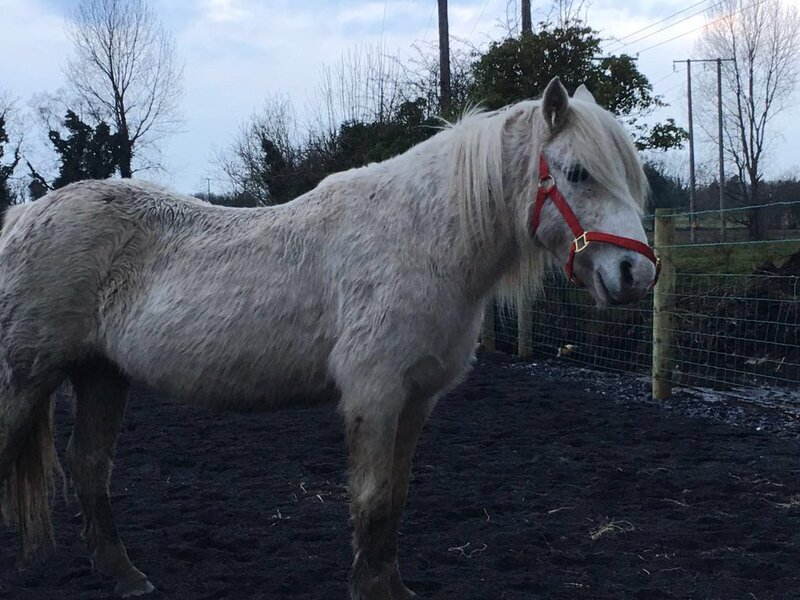 I was at home and had a funny Skype chat with hubby, the Irish people and of course Caitlin and we decided we would give her a home. When hubby came back from his trip to Ireland his behaviour was kind of.... strange, thoughtful I would say. 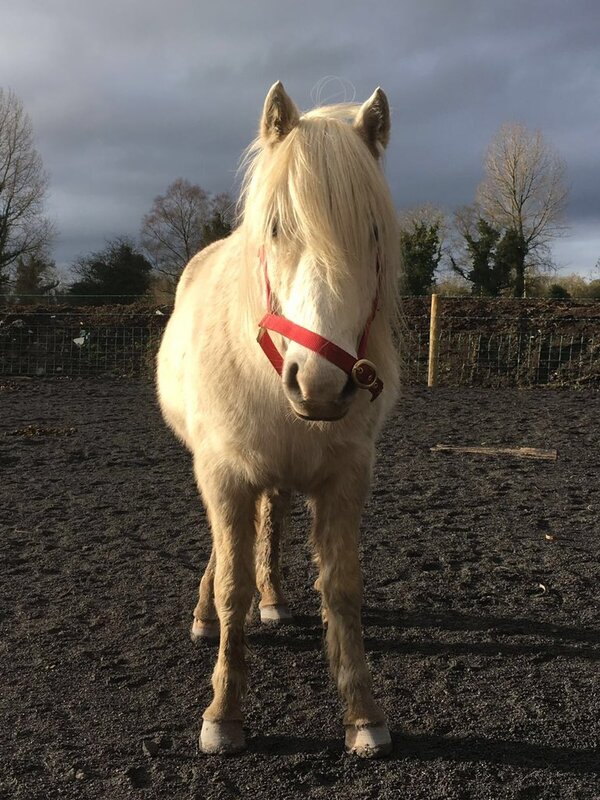 He told me the Irish family showed him around their place and there had been so many more horses and one of them, Fin, had - as he said "inquisitorially asked to join Caitlin" on her journey to Germany. He showed me some pics. Done! The two finally arrived at midnight in April last year. The transport was well organised, the trailer very comfortable. 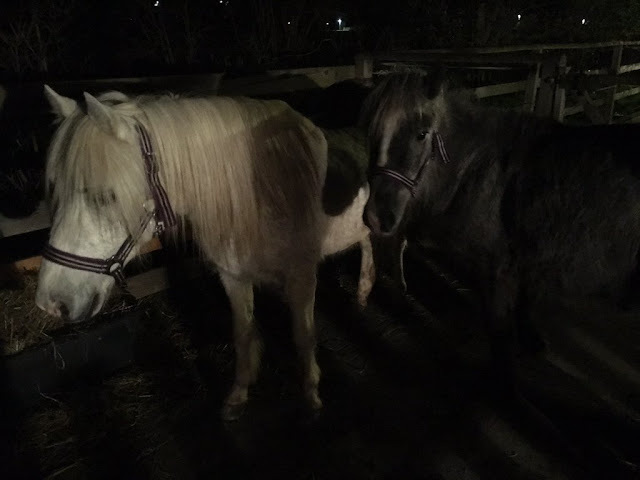 Although the night was already pitch black and we had the car lights shining into the trailer to have some light, the two walked out (with some help of tasty apples) and along the house to their new home without any fuss! Quarantine home, of course, but in sight of our two horses. Caitlin, 17 years old, was found starving at a nearby farmer. She was described as "shy". Fin, about 4 years old, was found starving in a very small yard owned by people who went on vacation and left the little pony without food or water. Caitlin turned out to be not only "shy" but severely traumatised. Trying to catch her took about an hour and she spooked with literally everything. Despite all the little things which made our (until then) well organised life with our existing horses much more complicated, we are very happy to have her here because she is a beautiful, calm and (for a mare) even-minded little girl. Even if she thinks she is under pressure, she never tries to kick or bite and from the very start she showed that she actually wants to get in contact with us. As frightened as she is when I come with brooms and bags and cleaning stuff, she never misses standing at the fence watching me while I am working. None of the others do that! Now, one year later, she is much better but still a very anxious pony. She was sedated twice to get her hoofs done (which were done when she came here) but it did not work and she would not let the farrier come closer than 5m. She is good with us now so hubby decided to trim her hoofs himself (as well as he can) as soon as she lets us touch all 4 legs. We are at leg 2 now ;-) It will be a long and maybe bumpy way to fully gain her trust but we are very confident. What can I say about Fin? Just one word: sunshine! He was suffering from a severe redworm burden when he came here but that is over now. He is about 5 years now and healthy so I think I will start with some ground-work and basic education soon. 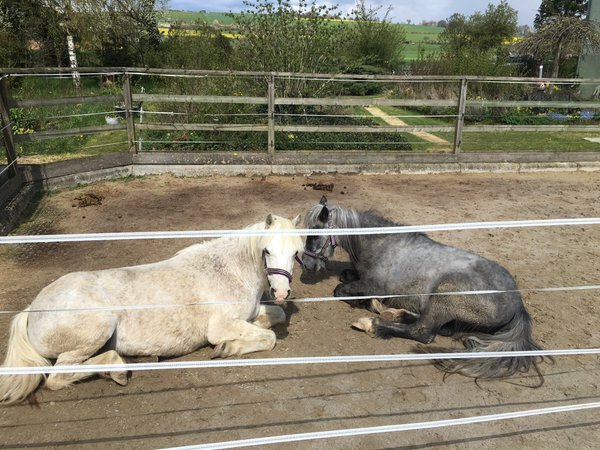 Both Fin and Caitlin fit very well into our little herd and to our surprise our old horses benefit a lot. Even old Rudi (28) enjoys playing around with little Fin and Caitlin and Tronje are a very sweet couple. As you can see, there have not been too many severe issues and we certainly do not regret our decision. Regarding Caitlin, we could have done with some more detailed information, especially about how the rescue managed to do her hooves because that is going to be an issue soon. 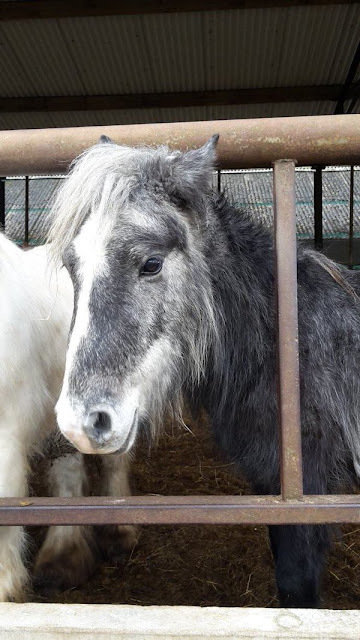 We understand that Rescues have a lot to do and often do not have information about the horses they are taking in. But they do have information about what happened to these horses after their arrival at the rescue and sharing this information with the rehomers is crucial. 1. 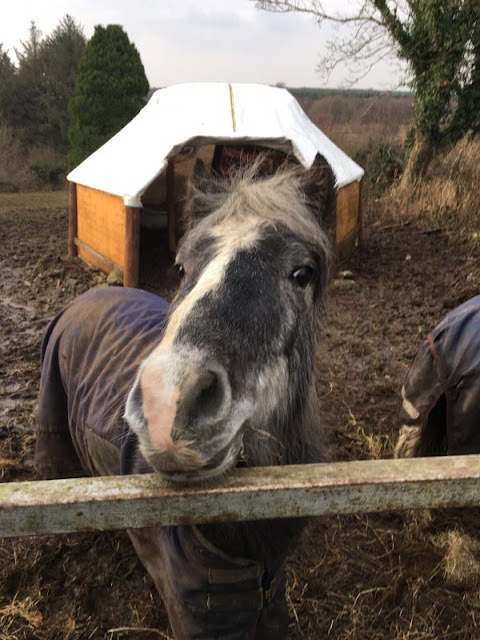 Look for a Rescue which is willing to communicate, not only about the process of rehoming but also about the special needs of the horse you have chosen. 2. 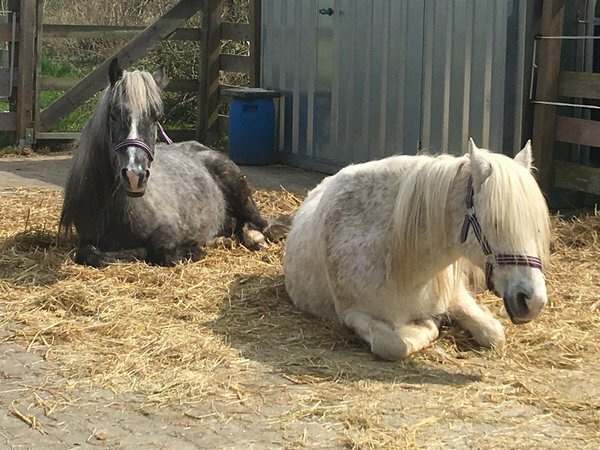 Be aware of the fact that rescue horses need special treatment re health and/or behaviour which will not only affect your time management but also your purse!